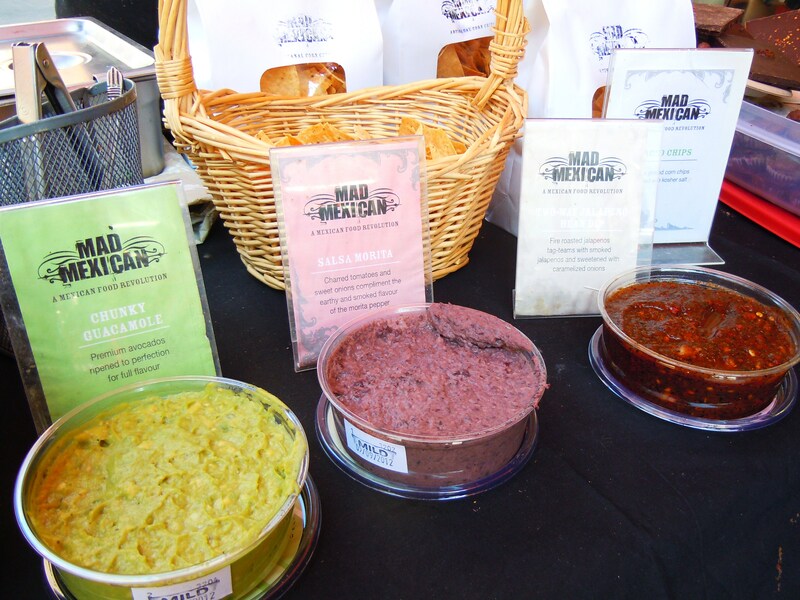 Roasted Tomatillo, Jalapeno Black Bean, & Chunky Guac – A Photo Spotlight on Mad Mexican Dip & Spread Delights! You won’t believe what I did on Saturday. 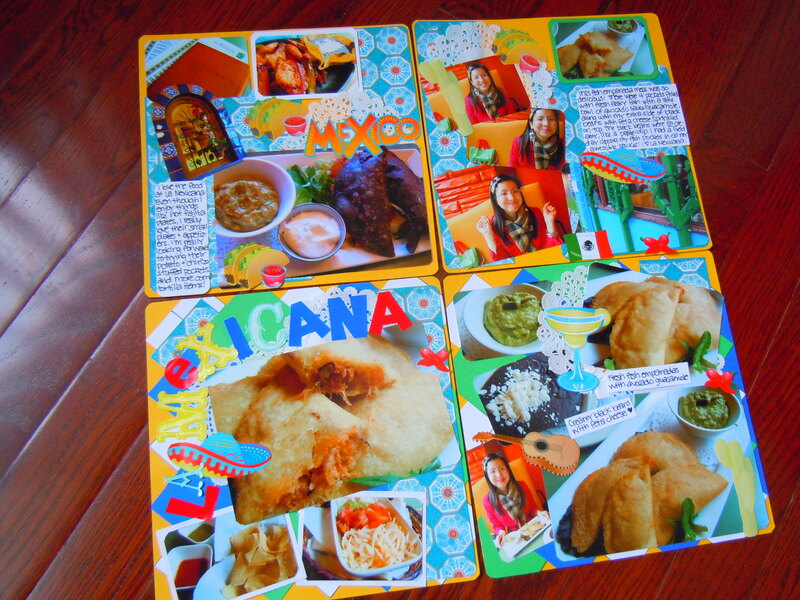 Or maybe you will based on how well you know me and my craziness passion for food! I ran out out of my beloved dips and spreads from Mad Mexican. You know, the ones I purchased during my last visit to Evergreen Brick Works last month. Me, my mum, and my brother gorged on Tw0-Way Jalapeno Black Bean dip and Roasted Tomatillo and Avocado salsa and polished them off in a heartbeat, spreading them on grilled tortillas, dipping samosas, falafel, and chicken nuggets in them, and mixing them into a little bit of rice for that yummy kick of flavour. These dips and spreads are SO, SO delicious and realizing that I had nothing left in my fridge made me so sad. 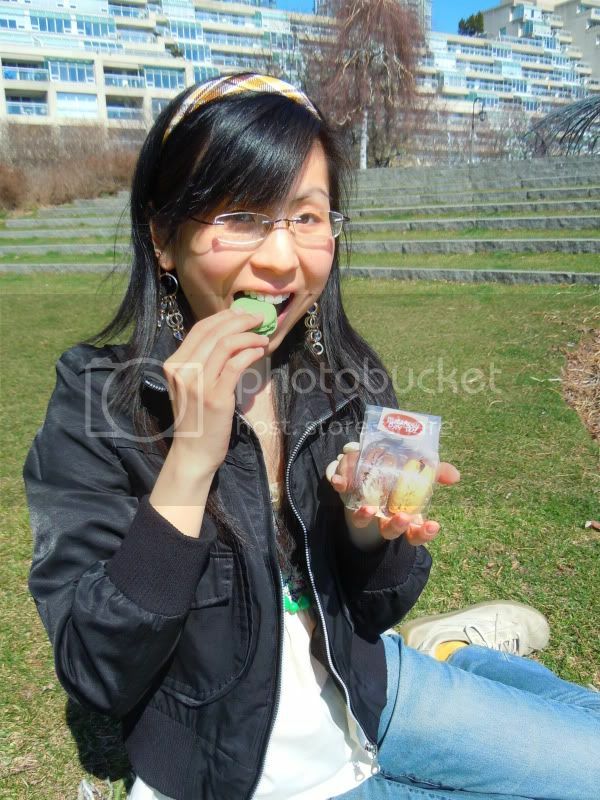 So against my better judgment, I rushed over to Evergreen Brick Works after noon hour on Saturday for a quickie trip. And I do mean quickie! I caught the shuttle at Broadview station, hopped off at the Brick Works, speed-walked to Mad Mexican’s table at the market, quickly chose 2 dips from what they had left, and caught the next shuttle back, all in a matter of half an hour. In the sweltering heat. Interrupting my day of planned blogging activity. 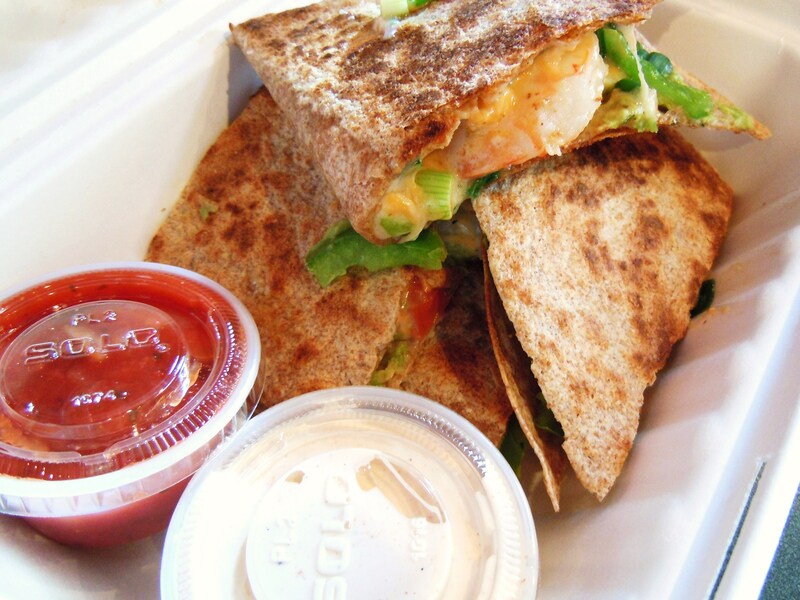 All for dip. I am a nut. But I am happy nut now because now I have a fresh new container of their Roasted Tomatillo and Avocado and a deliciously delightful Chunky Guac! I cursed and whined with every step to the streetcar and shuttle stop in the sticky heat, but I’m so glad I bit the bullet and shoved aside my wussy baby feelings for these guys because it was well worth it. 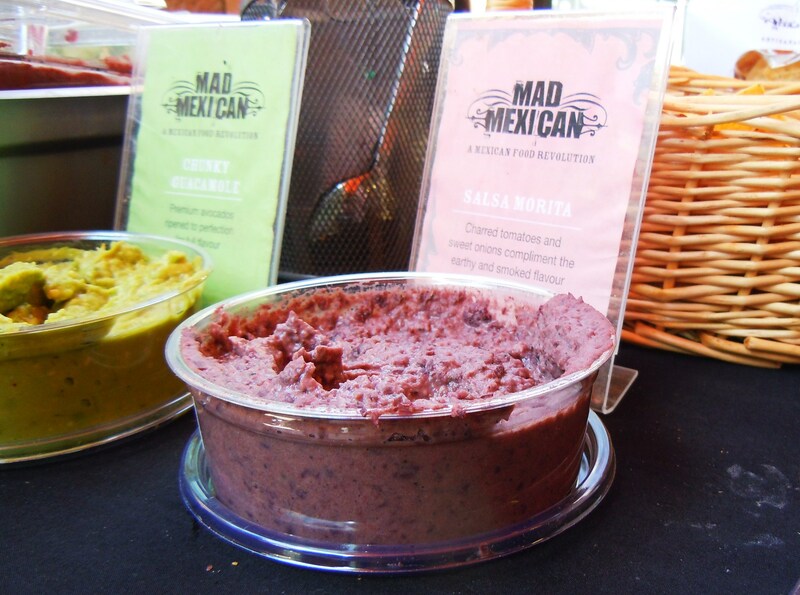 They currently have 6 dips, spreads, and salsas to choose from including a spicy salsa verde, a juicy pico de gallo, and a morita salsa made from dried, smoked morita peppers. 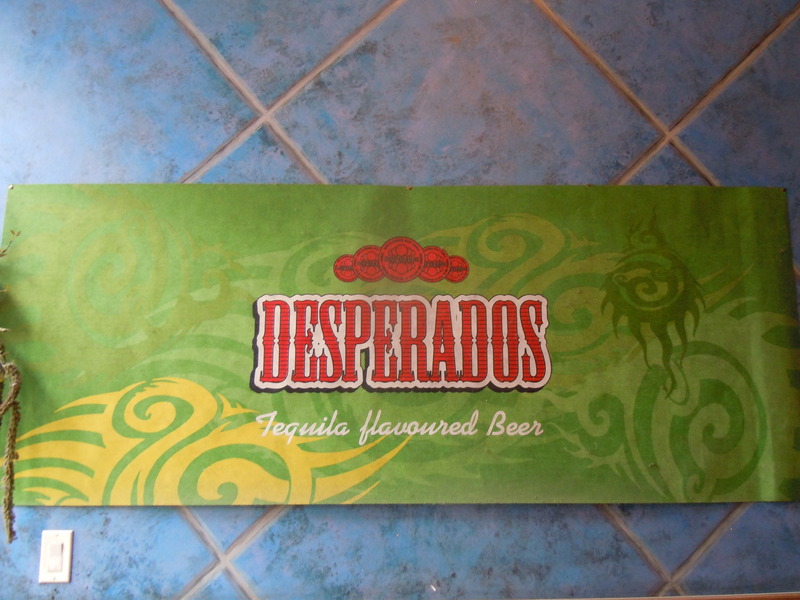 They’re $6 a pop with discounted rates available for multiple purchases with their delicious corn chips. I’ve really relied on the farmers’ market at Evergreen Brick Works to get my fix but after reading over their list of retailers and shops where there products can be found, I’ll most likely check out some of the spots just to see what they have if I don’t happen to have Evergreen market plans on a Saturday. 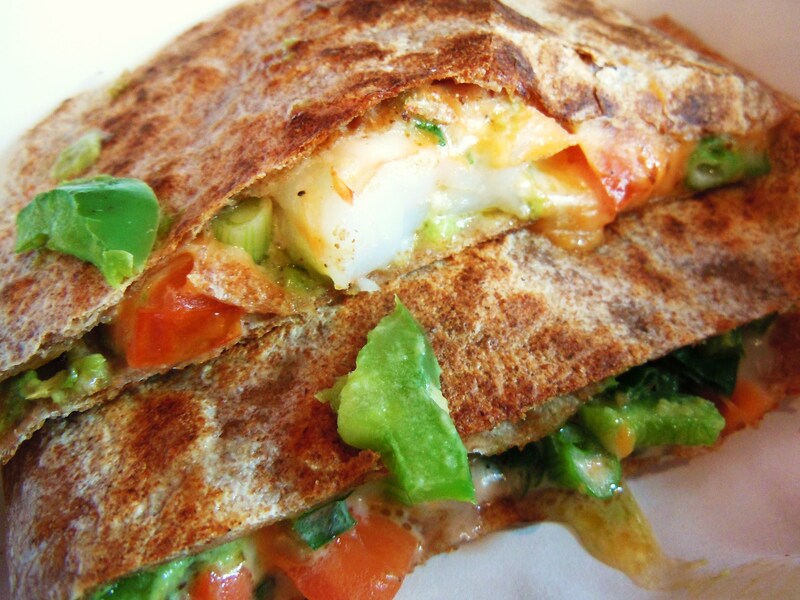 Mad Mexican is always hooked up with Chocosol and Gabriel’s Tortilla Project and Maizal Quesadilla Cafe when they’re at the markets, so it’s triple food fantastic because you get to ogle their Mexican chocolate and drool over and eat their mouthwatering corn tortillas and quesadillas while you’re there! 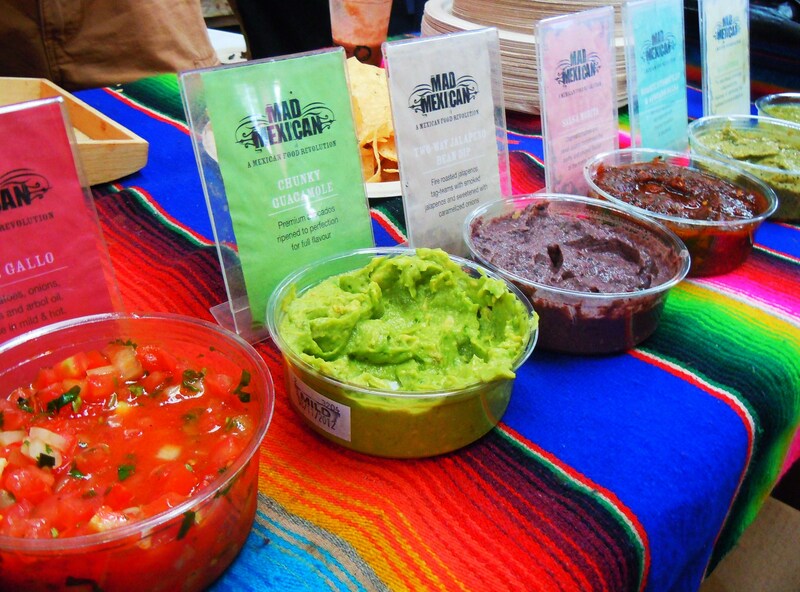 Mad Mexican makes some of my very favourite spreads and dips so if you get the chance, definitely give them a whirl and just be careful when you do, because you’ll never want your kitchen and palate to go without them every again! 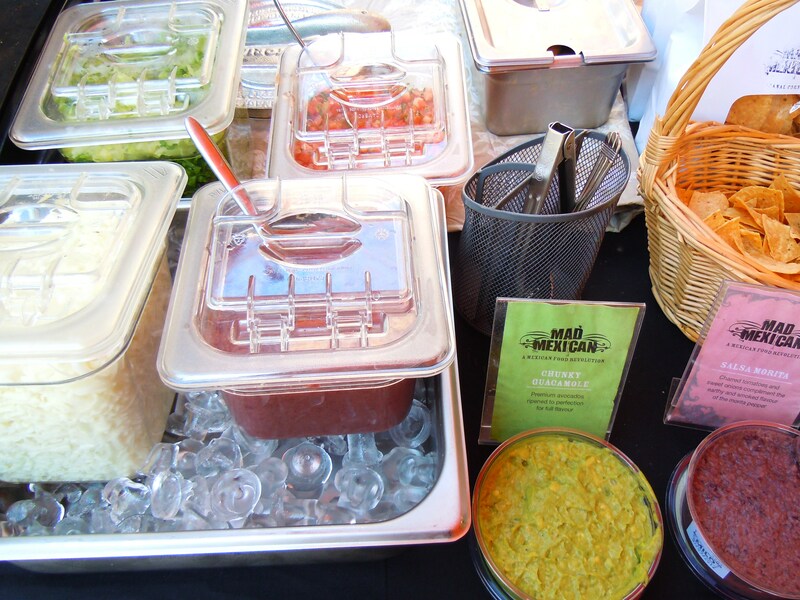 Mad Mexican is a Toronto-based business specializing in gourmet Mexican food products. 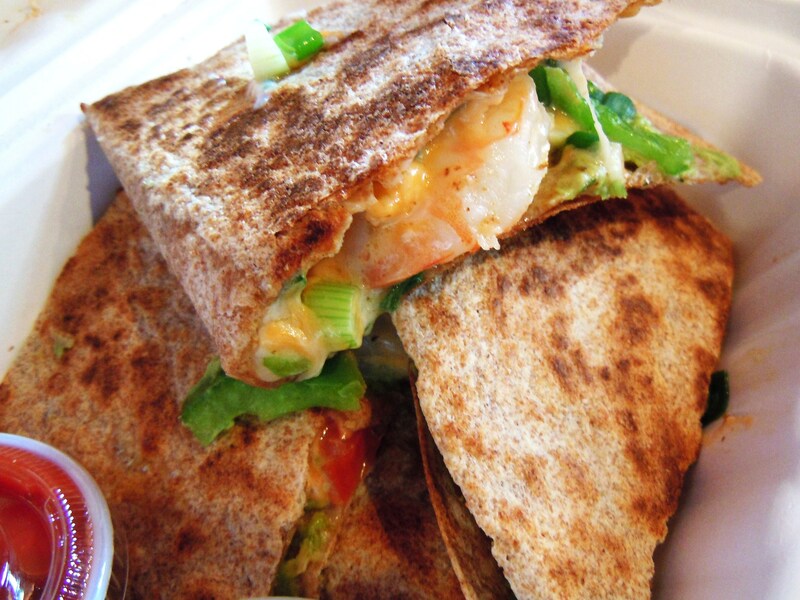 They are located in the west end at 383 Jane Street, just south of Annette Street to the east and Baby Point Rd. to the west (Annette Street turns into Baby Point Rd. at Jane and vice versa). Your best best though is to purchase their products from retailers and farmers’ market if you can’t conveniently access the west end. 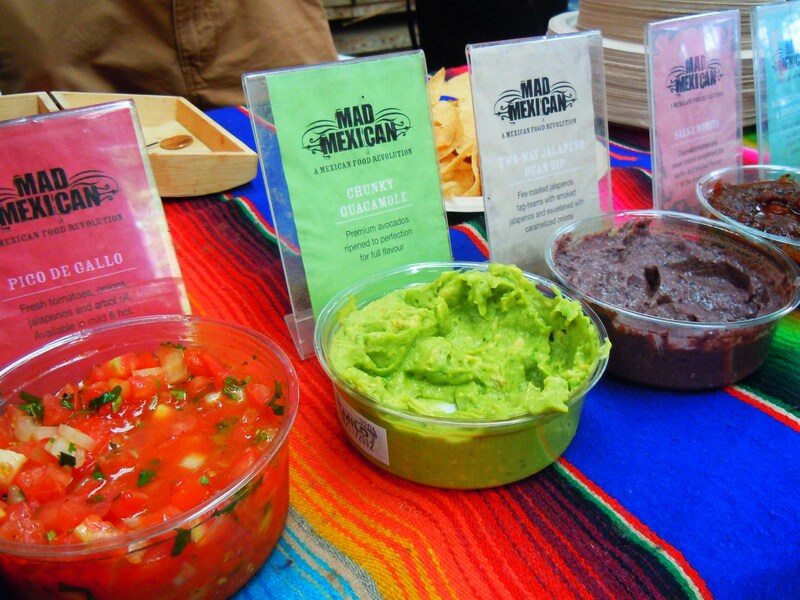 You can find Mad Mexcian at the Saturday farmers’ market at Evergreen Brick Works from 8am-1pm and their products in a slew of different food shops around the city including Noah’s Natural Foods, Summerhill Market, The Big Carrot, Fresh & Wild, and many more. You can check out the comprehensive list of retailers HERE! I had no idea what I was walking into when I pulled open the door to La Tortilleria. I should have though. The storefront clearly said La Tortilleria Market with the words, “convenience” and “Mexican products” right underneath, alongside “fresh tortillas daily”. I think I was so excited about trying a place I had wanted to try for ages that all logic escaped through my head and into the chilly air. That and because I was so ready for lunch, I was hungry! Anyway, I should have had an inkling as to the type of establishment I was about to step into, but it didn’t register at the time. 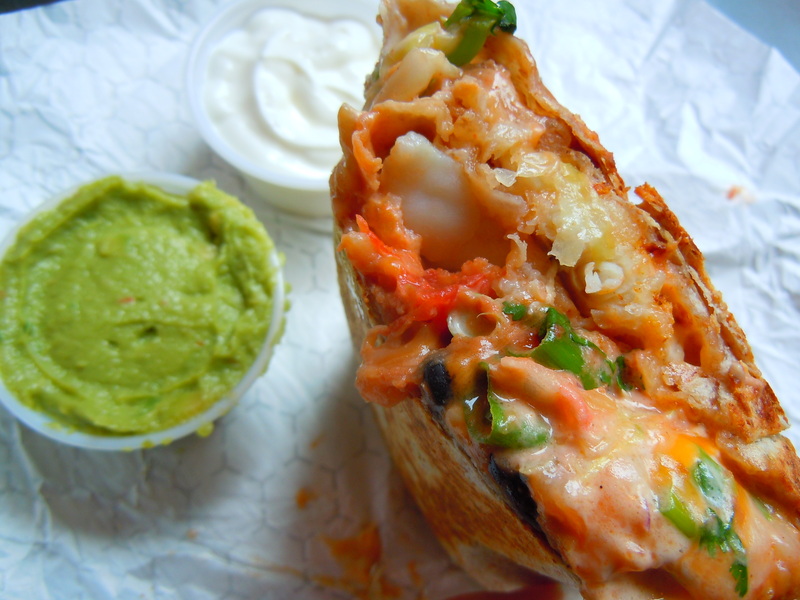 All I knew I was that I was excited about having Mexican food for lunch and that I would most likely be faced with the hard decision of deciding between quesadillas, tacos, and possibly burritos. All thoughts of what to feed my hungry stomach momentarily seized though after I stepped inside. 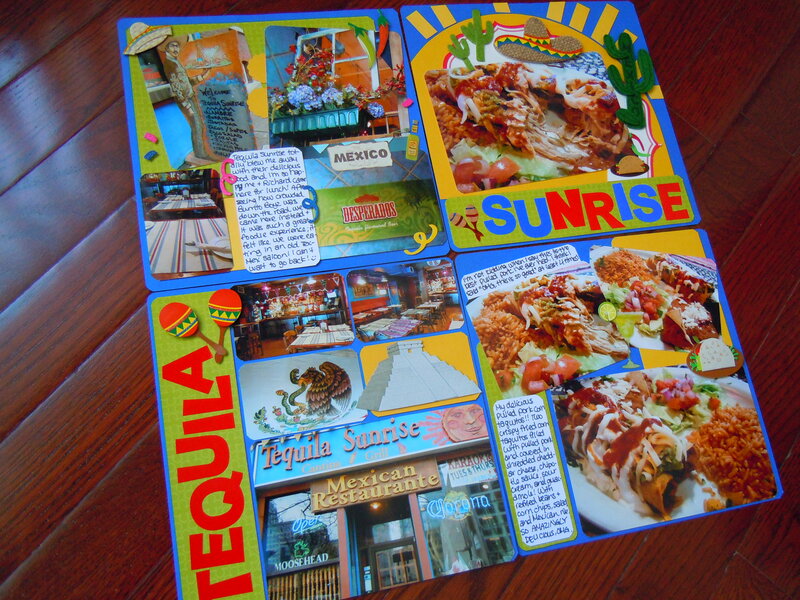 I was expecting giant menu boards, some tables and chairs to sit and eat, and mouthwatering photos of food to entice the Mexican lover in me. I got much more than I expected. 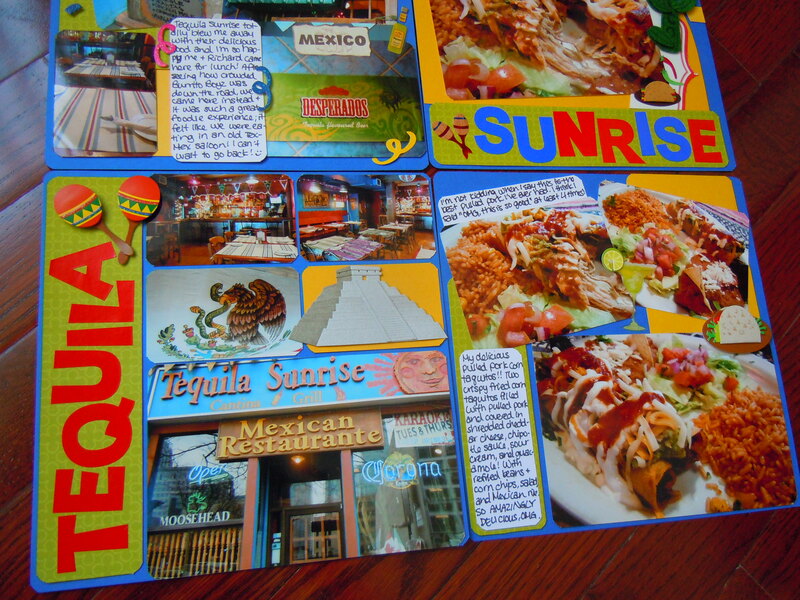 I had walked right into a Mexican food and grocery emporium! OH.MY.GOD. I actually said that out loud as I entered through the swinging entrance barricade. Sigh. How graceful of me. I was in awe though. I had never been to a Mexican grocery store before! Chinese supermarkets? Since the day I was born. Polish mini market? Just this past late summer. I’ve even been to a Filipino grocery mart. But a Mexican grocery store? Oh, this was divine. La Tortilleria is not only a sit-down spot to nosh on Mexican comfort food hot off the press, but the Bloor & Dufferin location is also a Mexican supermarket with everything from Mexican corn chips and tortillas to pantry staples to bulk spices to traditional Mexican pastries and baked goods. 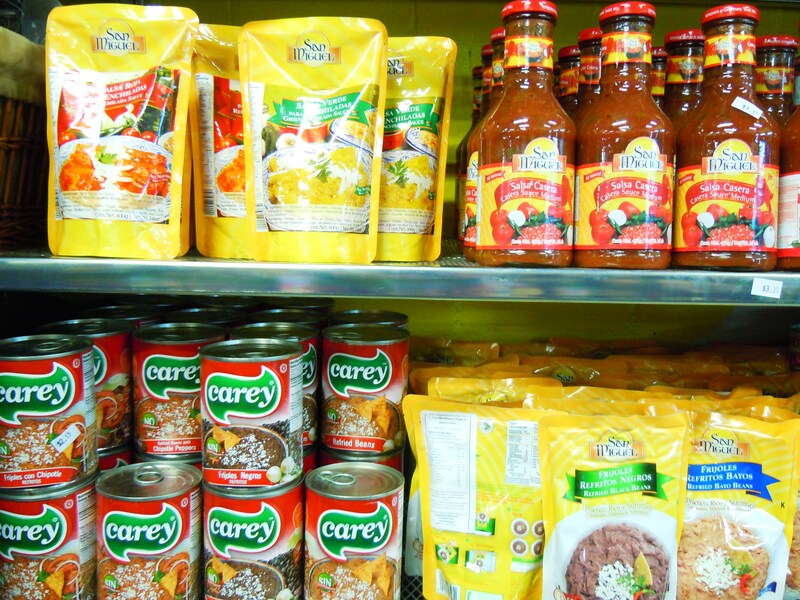 The grocery mart is divided into different aisles and sections and each aisle and section is devoted to a specific type of food. 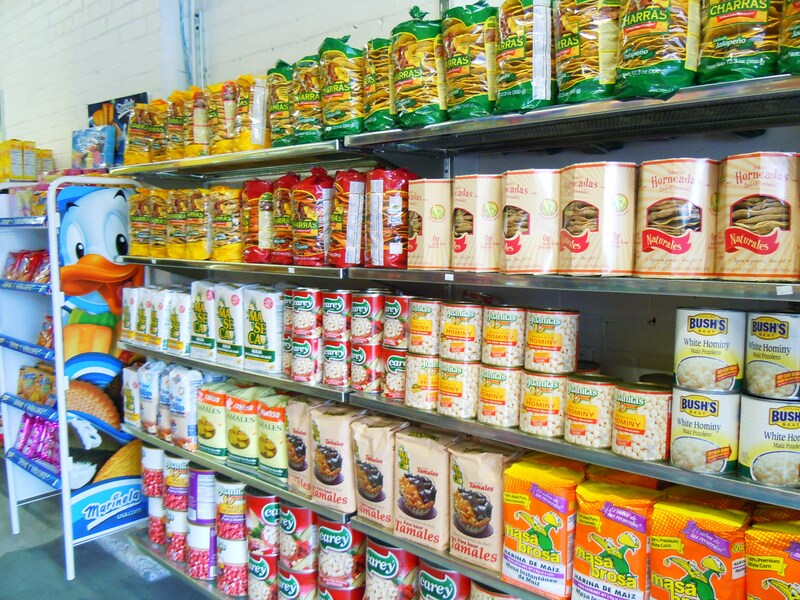 La Tortilleria has shelves of canned and dry pantry items such as chipotle, jalapeno, and serrano peppers, refried beans, hot sauces, cornmeal and maize, tamale and masa flour, Mexican chocolate mixes and coffee, churro mix, dips, condiments, and many others. 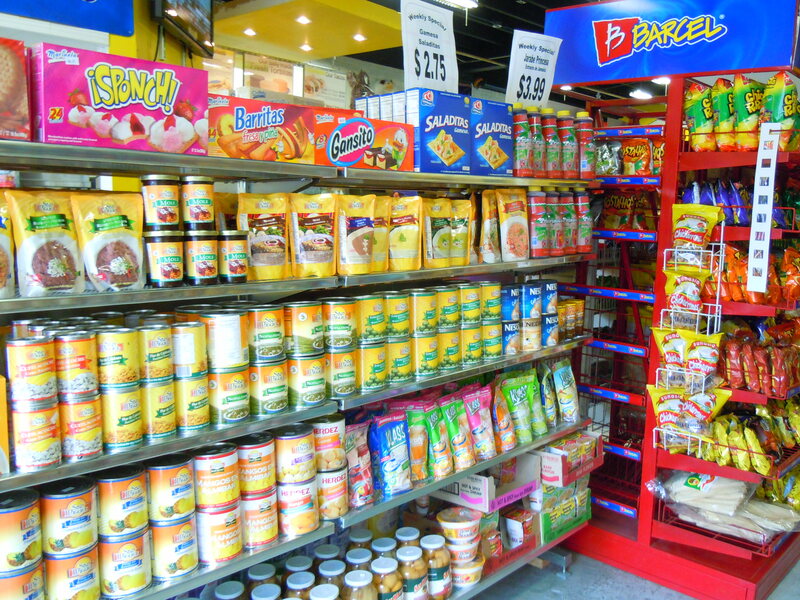 The grocery market also has a bulk section with spices as well as a grab n’ go sweets section with Mexican pastries, cookies, and churros. 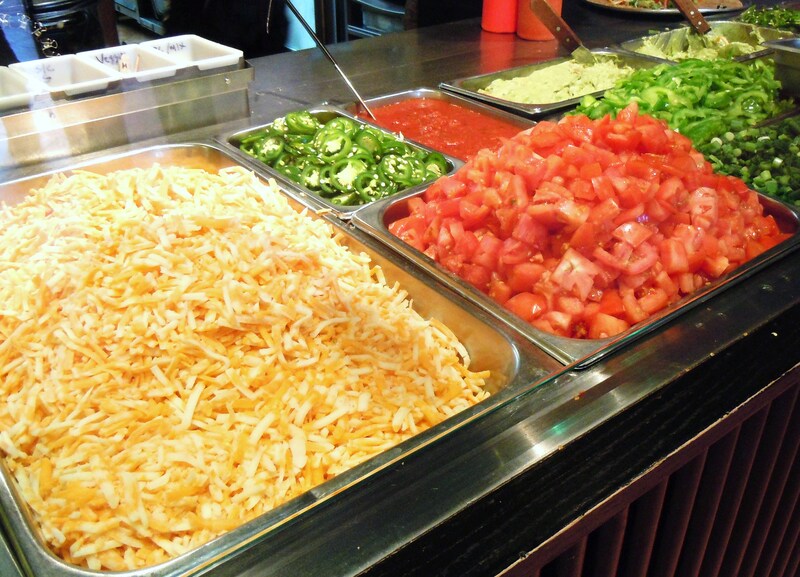 Amidst all the Mexican grocery goodness is the hot food counter where you can order La Tortilleria’s hot and fresh corn tacos and tortillas to-go or to enjoy at the sit-down seating area. 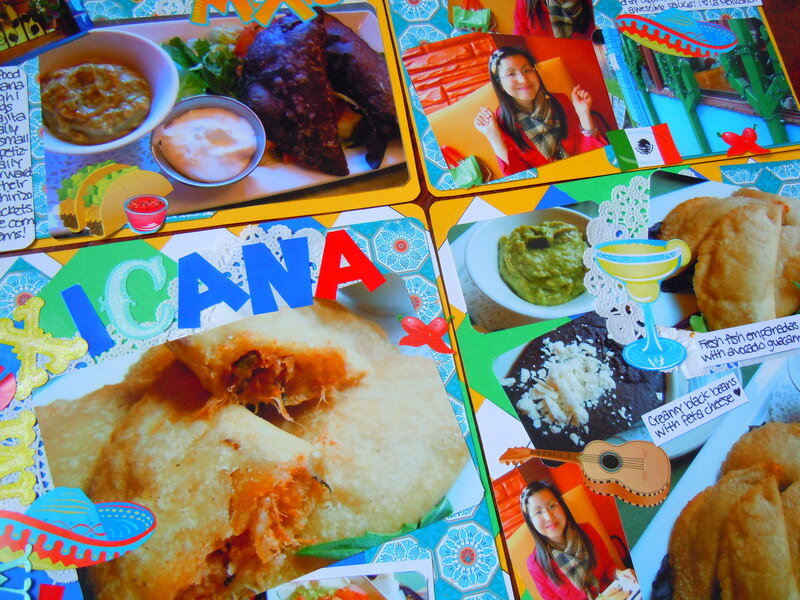 Menu items range from $6-$10 and aside from the tortilla bundles, all the menu items are meals, meaning they’re meant to be eaten as a full meal or as sharing plates. 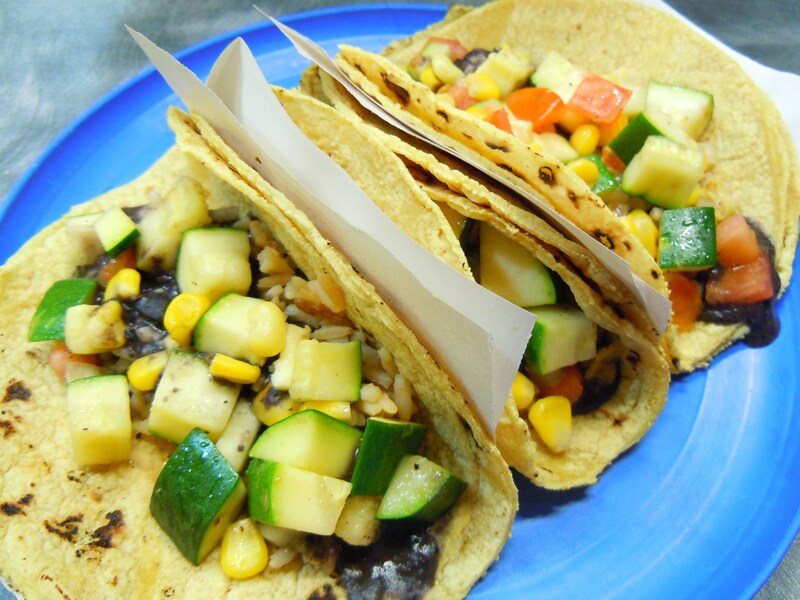 You won’t find single tacos here! Go big or go home. 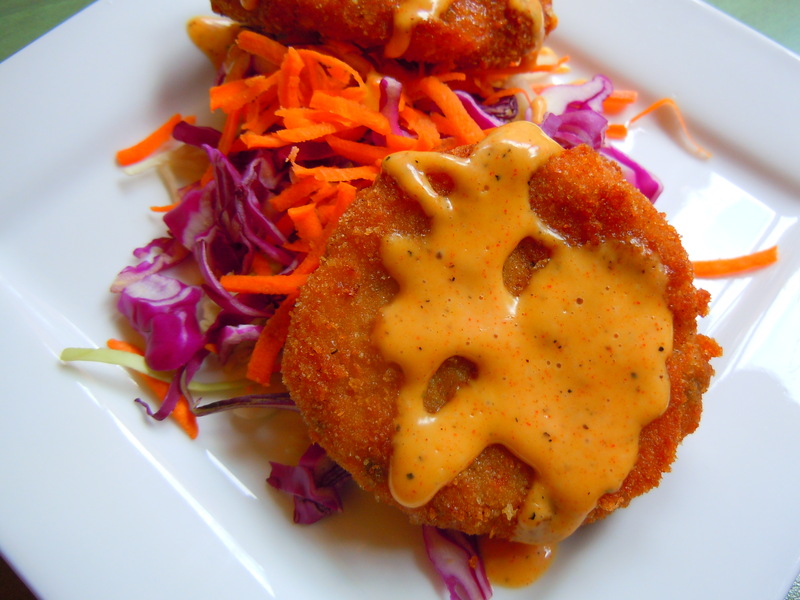 It’s Crab Cake Day on Ate by Ate today! I’m quite excited because this is the first of many crab cake posts to come! Now before I get into all the delicious crab cake details, I want to share and discuss some blog related goodies with you all first. You guys are well aware of how much I love thinking in and working with themes and categories, and I’m always thinking of new things to add to the blog. 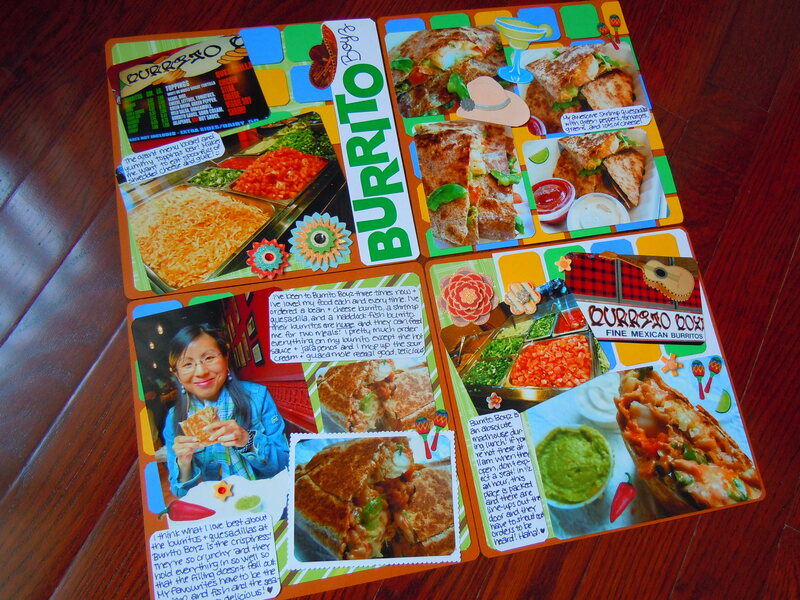 When I first started Ate by Ate, I brainstormed a number of categories and had a backlog of material ready so that I’d be ready to go when I launched and went “live”. 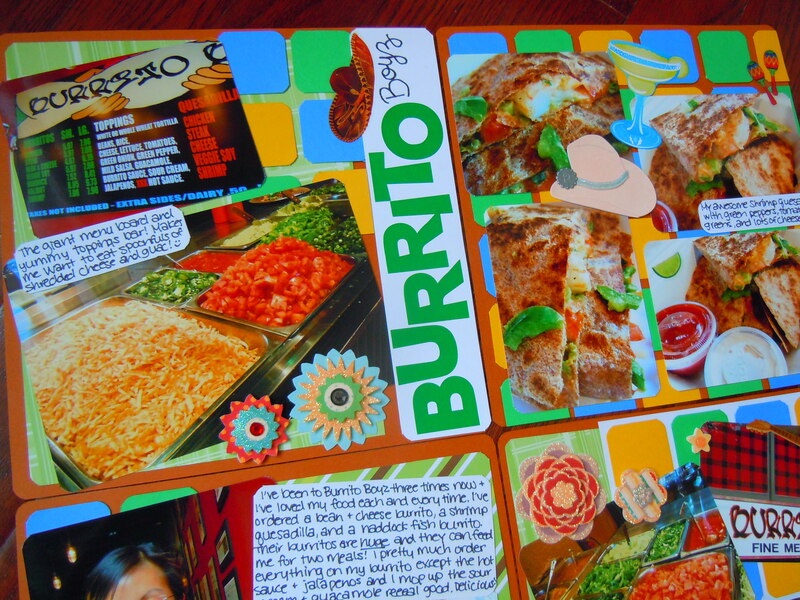 I started off with the categories I knew I wanted to attack and come back to over and over again such as the Cupcake Chronicles, the Sushi Bar, and the Veggie Eats. Over the past year, I continued adding to the list (which has grown like a beanstalk as you can tell from the right hand sidebar!) and not too long ago I came up with a great idea, thanks to an amazing beauty blogger. Along with food stuffs, I’m a beauty junkie (someday I should show you all my lip gloss collection!) and I frequent Christine’s beauty empire, Temptalia, on a regular basis. I was majorly inspired by her series, “5 Ways” and in a nutshell, Christine’s posts for “5 Ways” encompass 5 different ways to do wear something or 5 great products in a given category. Things like 5 ways to wear purple eyeshadow, 5 great teal nail polishes, 5 great coral lipsticks, and so on and so forth. 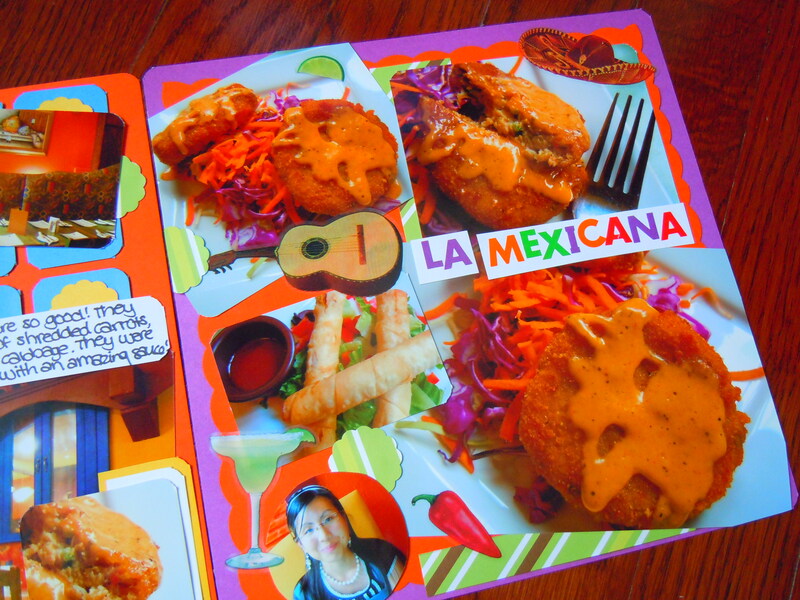 These amazing crab cakes are from the wonderful La Mexicana in Yorkville. 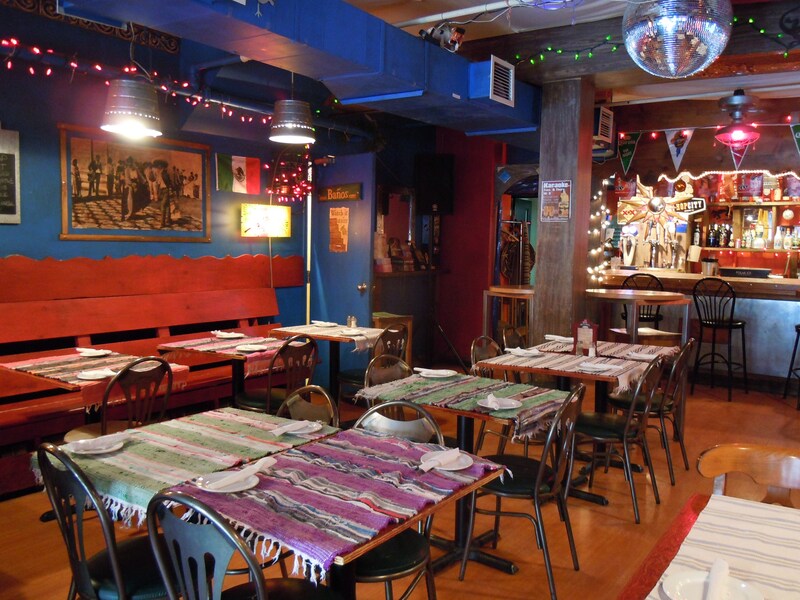 La Mexicana is always a huge temptation for both myself and my boyfriend whenever we’re in the area (and Mela Cafe, my favourite vegetarian and vegan place) and I know I’ve found a gem in them because I’m always looking up their menu online and daydreaming about what I’d order during my next visit. You know a place has your heart when it does crazy things like that to you. Anyway, I love crab cakes to death. I don’t eat them often because they’re such a treat to me, but I get incredibly excited at the thought of them. 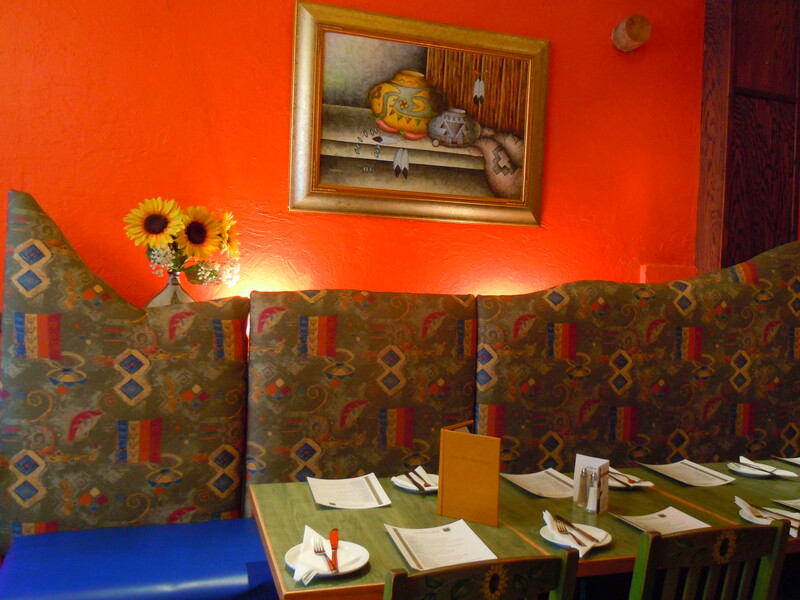 To my recollection, I’ve only ever had crab cakes 3 times and all 3 times were lovely and delicious, including the lunch I had here at La Mexicana. 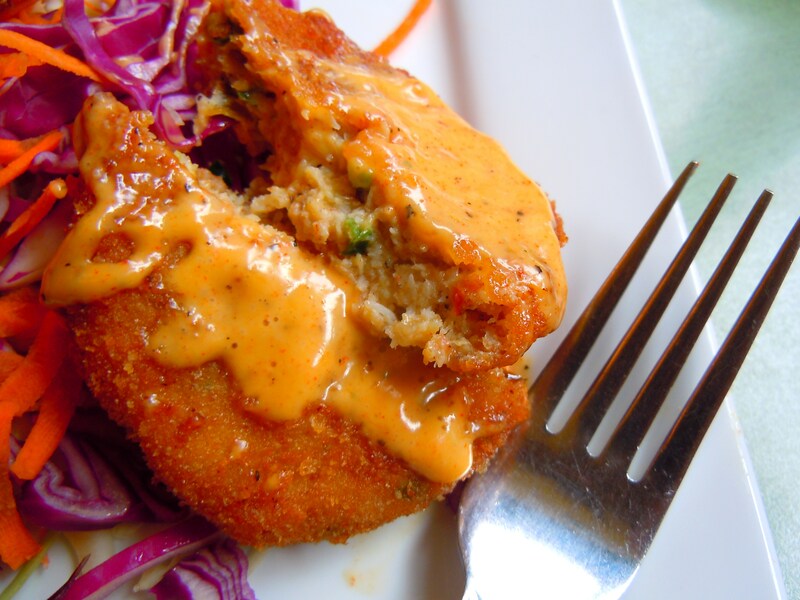 Their crab cakes come in sets of two ($8) and are available on both their lunch and dinner menu. 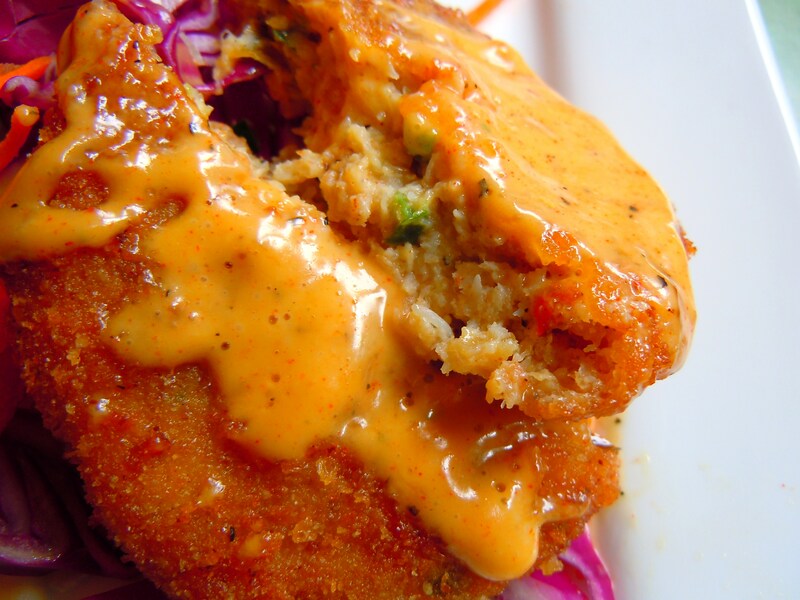 The crab cakes (which are about the size of my palm) are lightly breaded and fried with the most savoury, soft, flaky crab meat you could imagine and are placed on a bed of carrot and cabbage slaw with shredded red and green cabbage and carrot. You know the crab is real and fresh because when you break the cakes apart, you see that stringy, shredded quality that’s common with fresh crab meat. When I ate the cakes, I felt like I had bitten into the meat of the ever-popular messy crab legs. The crab cakes just melt in your mouth and the breading has that great crispiness to it that’s not so crunchy the cakes are hard and difficult to eat, but not oily crispy either. The soft, flaky crab meat was mixed with some green onions and red pepper flakes and the cakes were drizzled with chipotle mayo sauce which I LOVED. 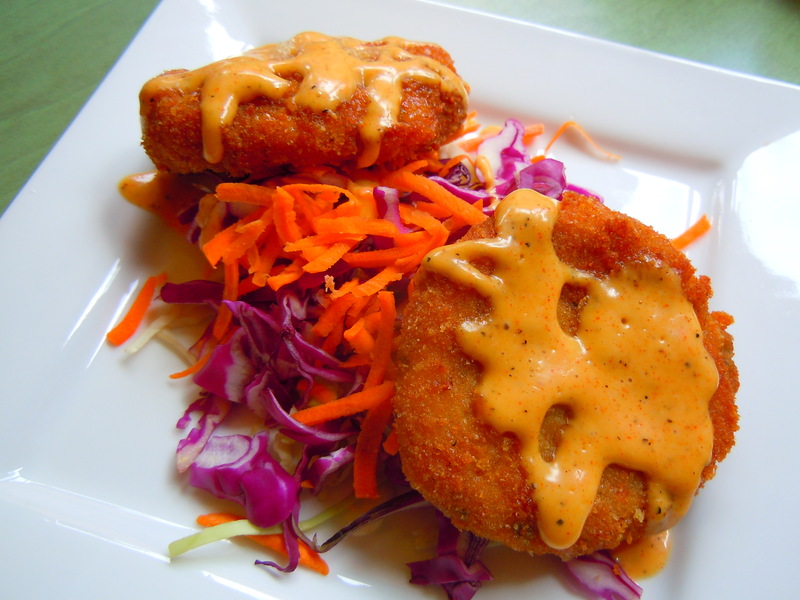 The fun thing about crab cakes is not just the different ways they’re breaded but also the different sauces that are served with them. I remember having crab cakes two and a half years ago at a pub that was served with this tangy seafood sauce that was a cross between salsa and shrimp cocktail sauce and the flavours were completely changed and revamped based on that difference. 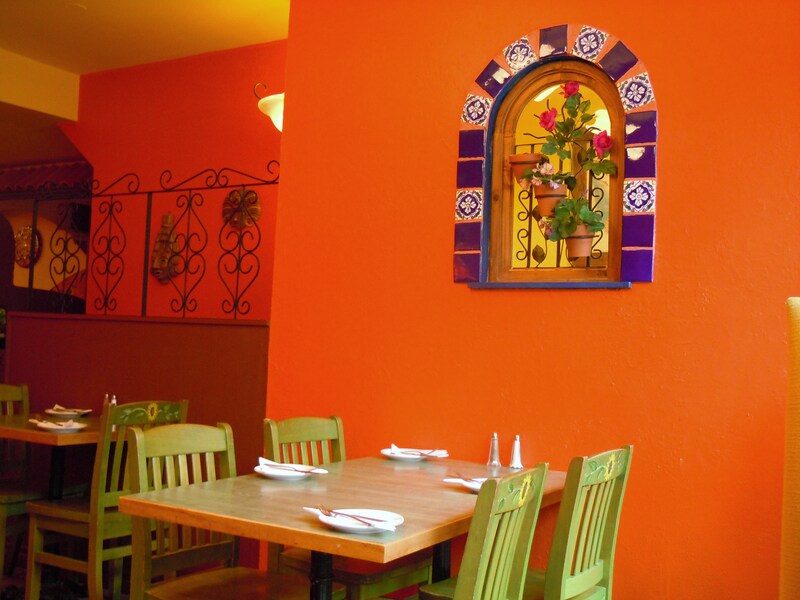 The crab cake sauce at La Mexicana is delicious and that very subtle kick of spicy flavour is delicious and it envelopes every part of your mouth with the salty savouriness of the crab meat and breading. Oh! 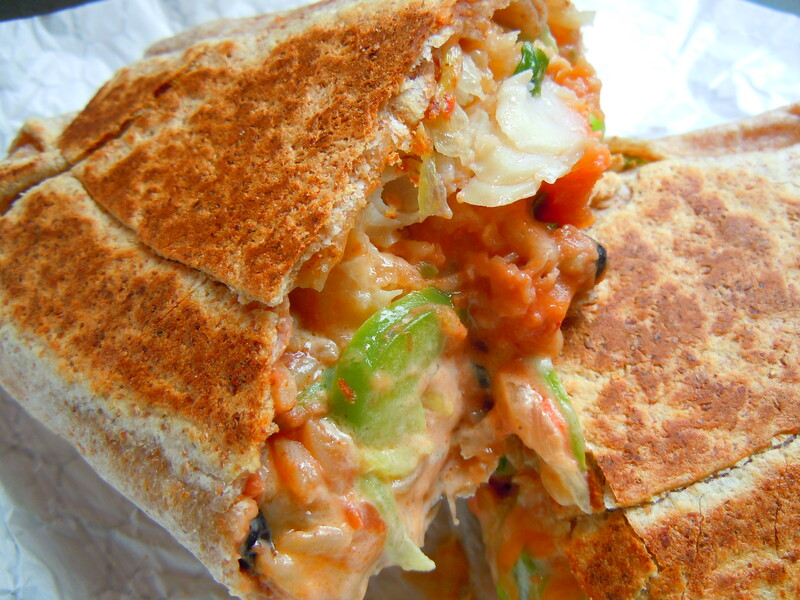 And do you all remember the black beans and feta cheese that I had the last time? I dipped my cod fish empanadas in them that time, but I also discovered that they are amazing with the corn chips that are you given to every table during a meal. I know because I ordered the creamy black bean side dish again because it’s just that good. I hope everyone is having a fabulous long weekend and I hope you all enjoy the new upcoming “5 Great” series as much I will preparing for it. Enjoy the rest of the weekend, everyone! 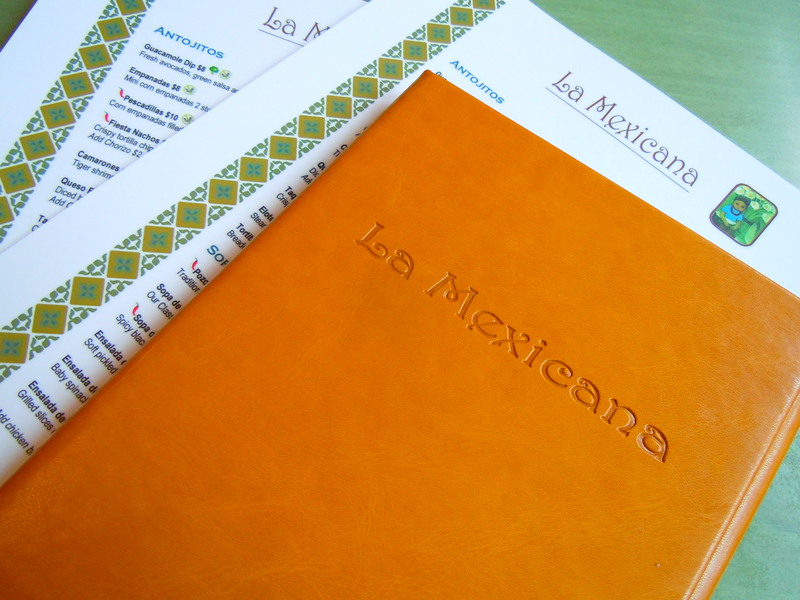 La Mexicana is located at 838 Yonge St. in between Yorkville Ave. and Cumberland St., north of Bloor Street. They are open 7 days a week at 11am. They are open until 10pm from Sunday-Thursday and until 11pm on Fridays and Saturdays. 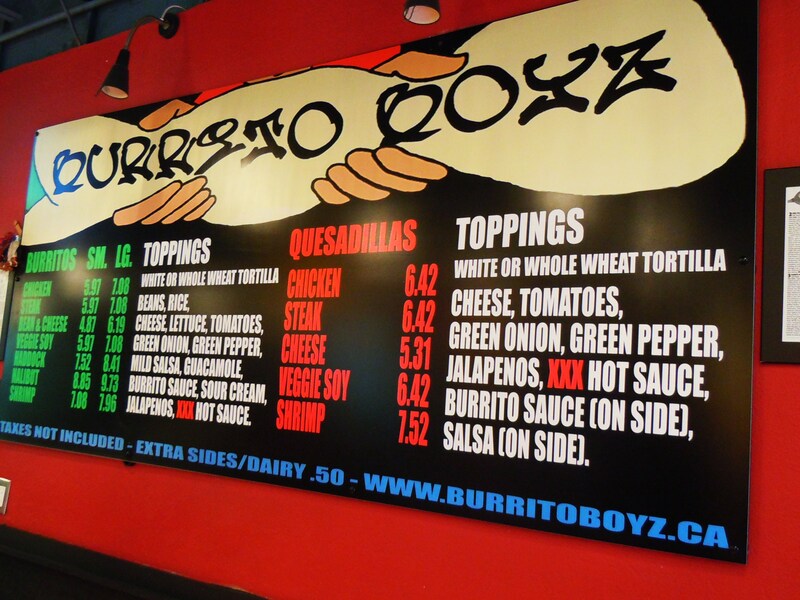 They serve two other locations, so for more info, visit their website here. 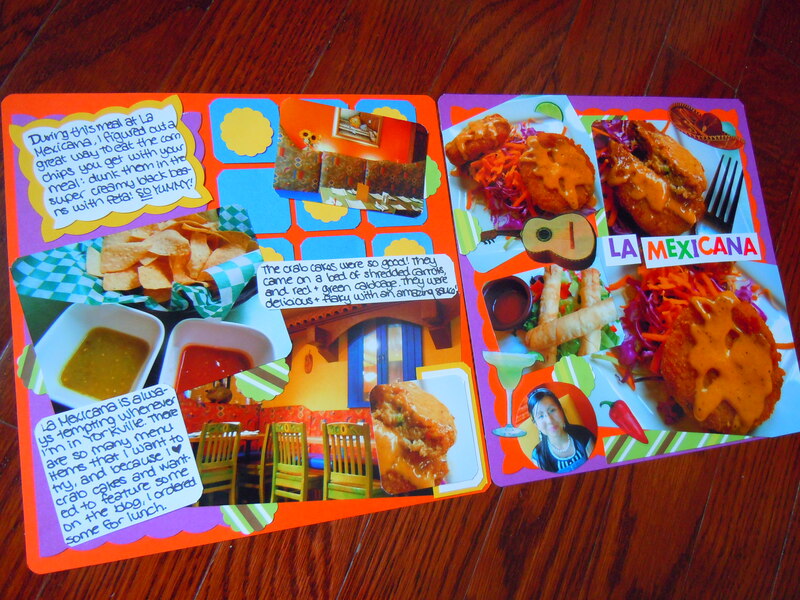 Considering that I had this meal on Cinco de Mayo this past May, this post is waaaayyy overdue. 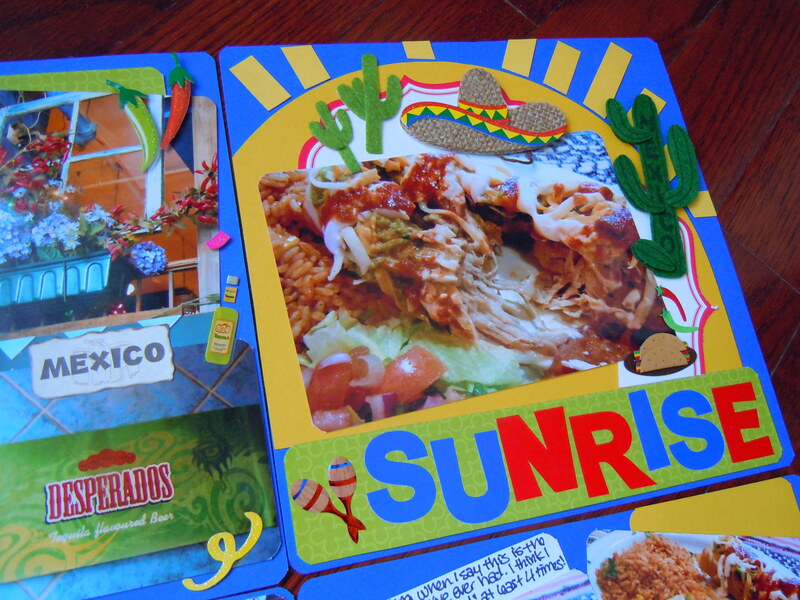 But you all know how I am with the scrapbook pages and I’d like to think that every day is a fiesta of sorts, so we’ll celebrate the tail-end of the long weekend celebrations with some REALLY delicious Mexican food! 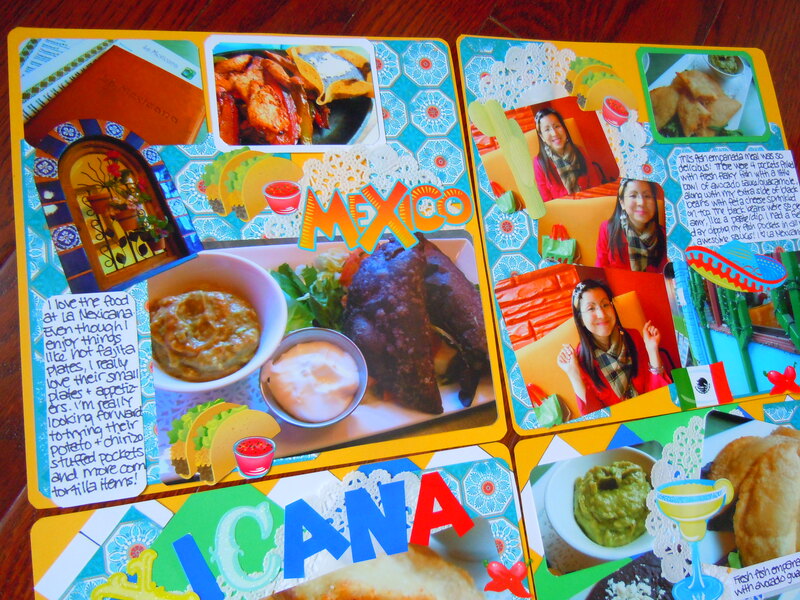 La Mexicana and I were actually acquainted for the first time back in 2009 during the winter holidays and I loved the food so much that I’ve been daydreaming about it ever since. Located in Yorkville just north of Bloor St. West, it’s conveniently located right near the subway and to many other neighbourhoods in the city that I adore. You can stroll on Yonge St. or Bay St., browse Yorkville, walk the underground malls of Cumberland and Manulife Centre and so much more. When I’m in this area, I never have to wonder how I’m going to plan my day because there are so many options. 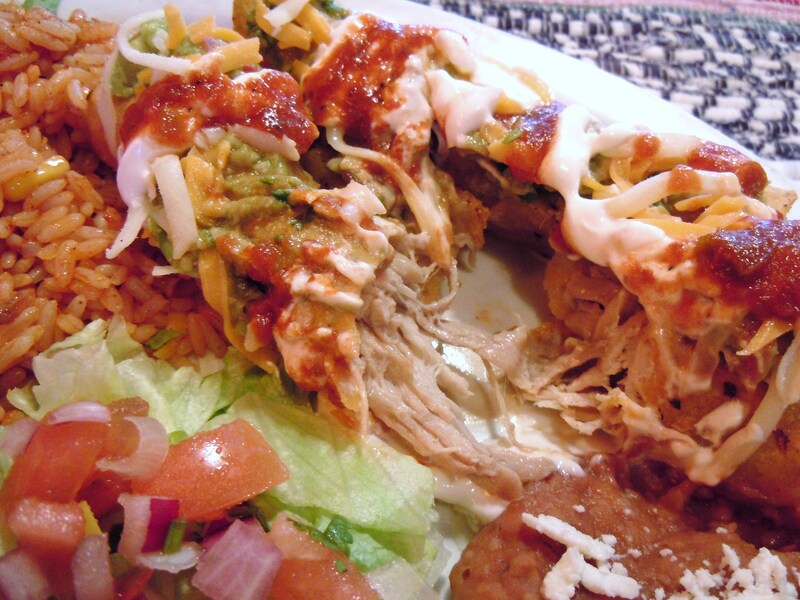 I love Mexican, Tex-Mex, the whole bit. 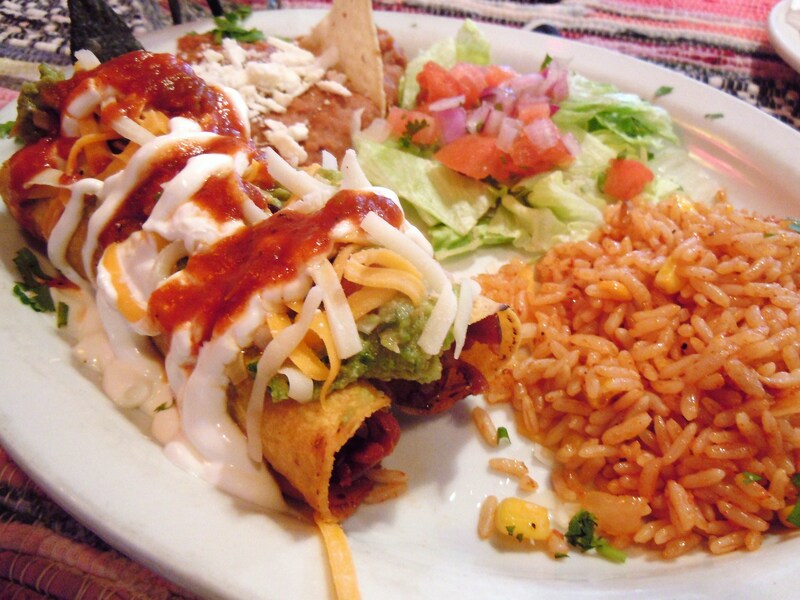 The thought of fajitas, taquitos, empanadas, beans, tortilla soup, and enchiladas has my stomach growling and my taste buds panting. Although the piping hot fajita plates look amazing here, my favourite thing about La Mexicana has to be the small plate lunches (the antojitos) and sides. They have a lunch menu and a dinner menu and to my surprise, there are a number of vegetarian options on the menu as well as gluten-free. Vegan options are a bit harder to come by though. 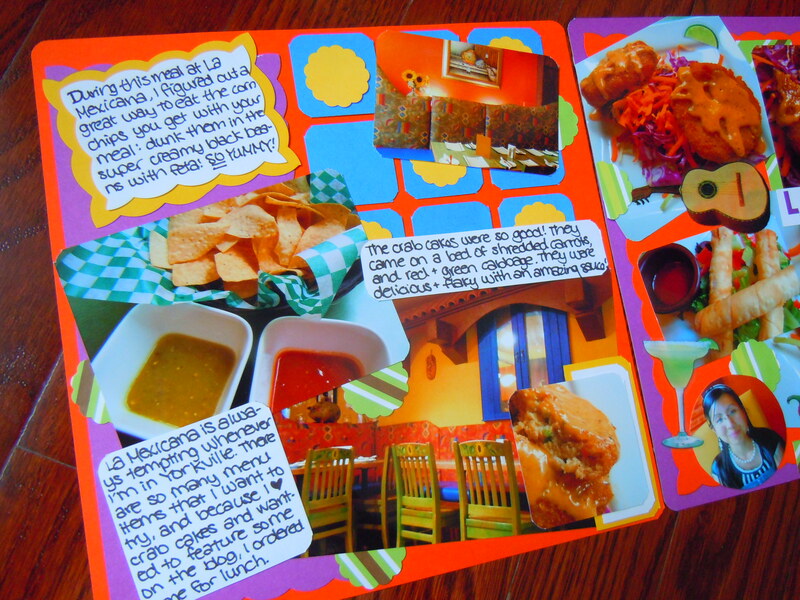 I’ve really enjoyed going to places with a menu that caters to different diets and lifestyles because I’m able to tuck these places away on mental sticky note for future places to consider for outings with friends or larger groups of people. 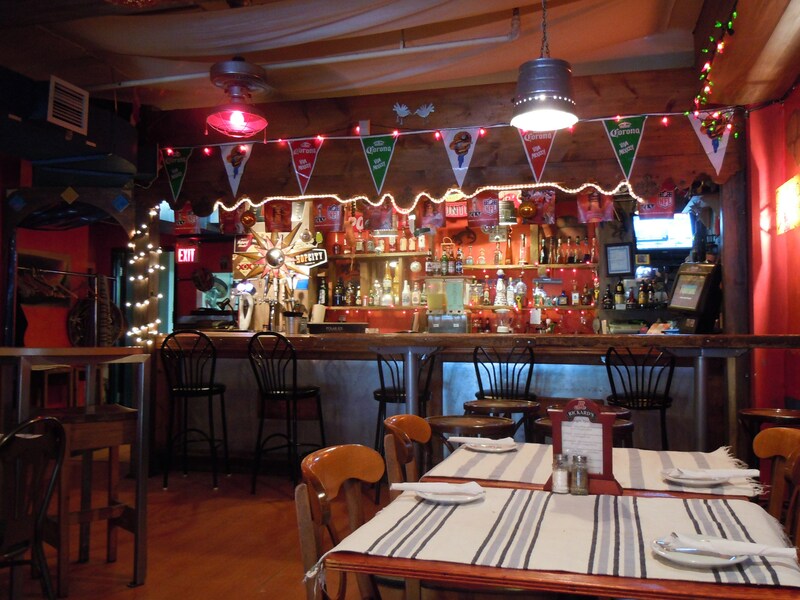 Their meat options include chicken, beef, and seafood (shrimp and cod fish, for example), and they have a variety of vegeterian small plate lunches and mains. 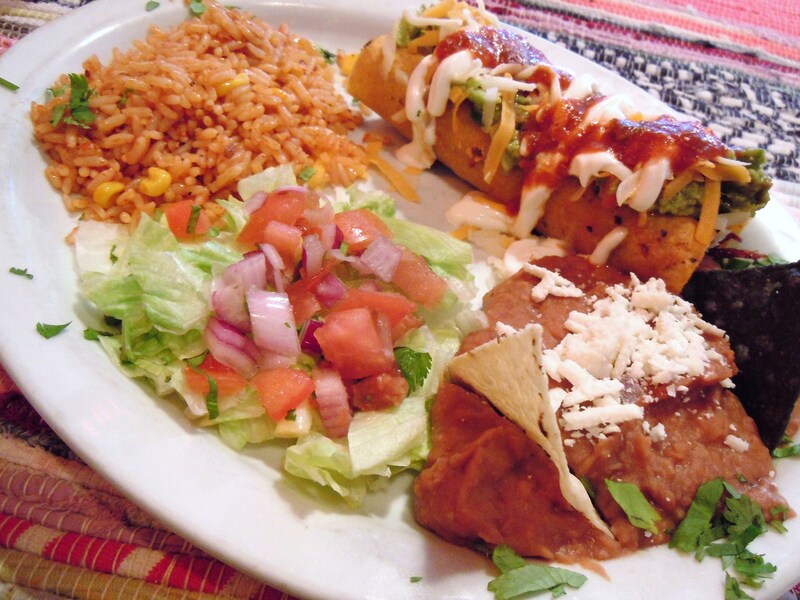 Dishes like Queso Fundido (bell peppers covered in melted cheese and pumpkin seeds), Ensalada de Calabacita (grilled zucchini and corn salad), Elote (corn on the cob with feta and cayenne pepper), black bean and vegetable burritos, and vegetarian enchiladas, chimichangas, and quesadillas. 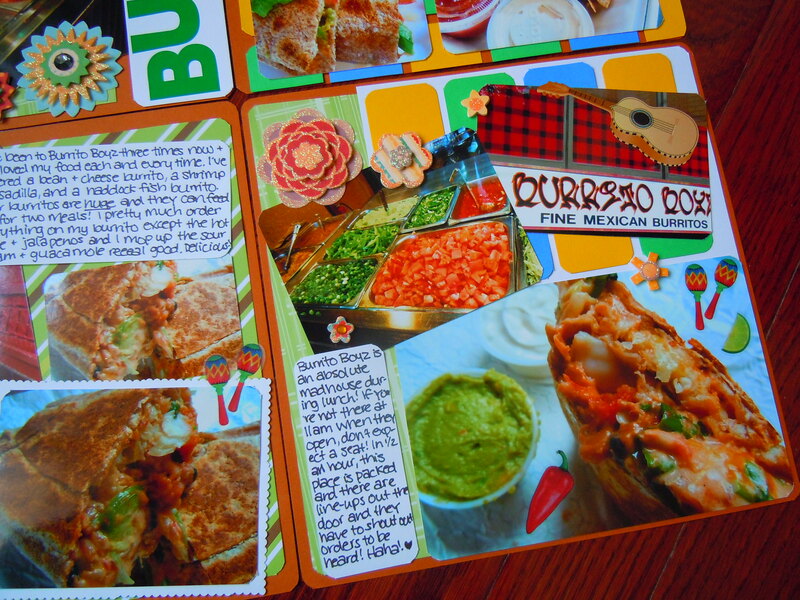 I adore fish tacos so back in 2009 my friend Sally and I ordered their pescadillas, corn empanadas filled with salted cod fish (bacalao) with spicy avocado salsa and sour cream. This meal was so delicious and yes, very spicy! The corn empanadas were a dark, almost black, colour (think blue or black corn chips) and they were stuffed with soft, flaky cod fish. 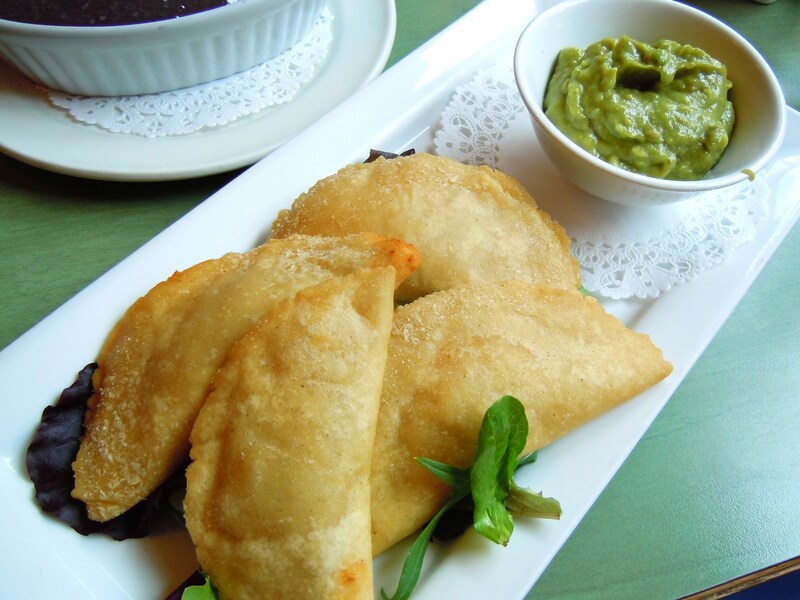 The empanadas themselves weren’t spicy, it was the avocado sauce that had us tearing up! It was insanely good and it was this scumptiousness that had me coming back for more. Fast forward to Cinco de Mayo this past May. I adore the same thing, along with a side of black beans and feta cheese, and to my surprise, the dish looks different. 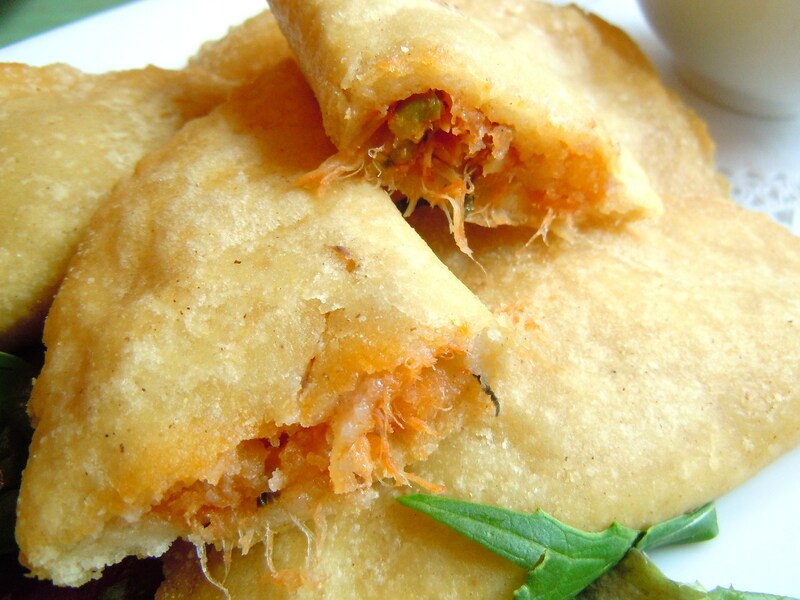 Back in 2009, the corn empanadas with fish looked like this, up top. 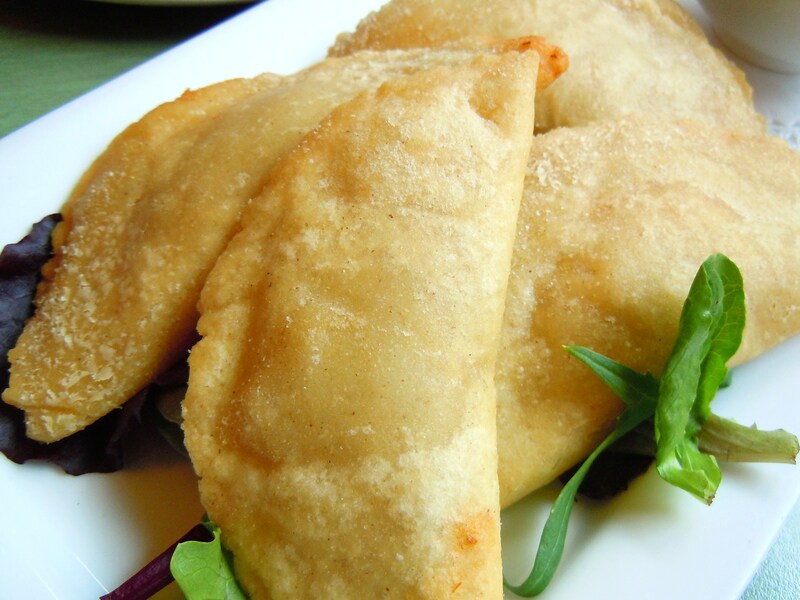 Instead of dark coloured empanadas, the corn pockets were a light golden brown. And instead of 2 medium to large-sized empanadas, there were FOUR medium-sized ones! Finally, instead of the huffy-puffy-blinking-back-tears avocado salsa, it was a MUCH milder creamy avocado guacamole. The difference in appearance completely threw me off, but I recall that La Mexicana had recently revamped their menu a bit and had also launched a website for the restaurant since the last time I had gone, so I chalked it up to them trying something new and interpreting the dish in a different way. Just as delicious. The fish was savoury and flaky and I had an absolute FIELD DAY dunking my empanadas in the thick avocado sauce and in my black beans. My black beans side dish also took me by surprise. 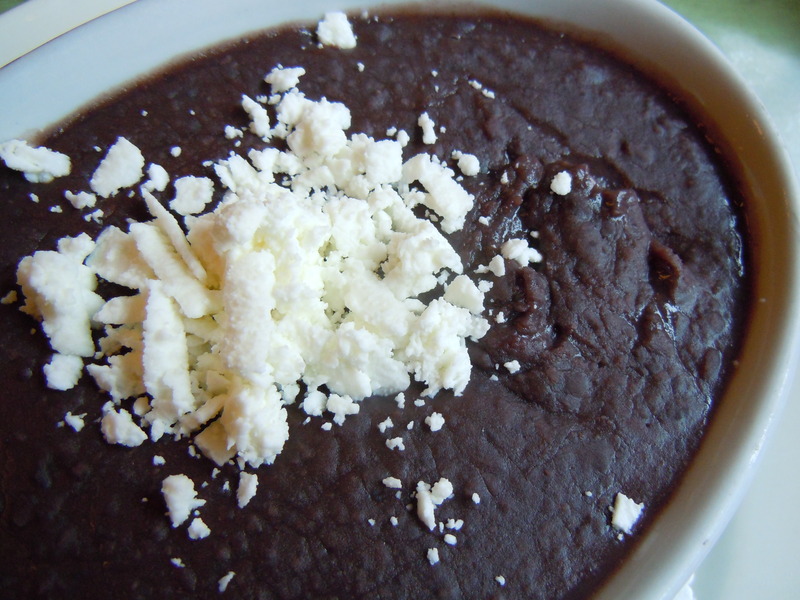 I was expecting a dish of whole beans, but instead, it was a baking dish of smooth, creamy, whipped-like-butter black beans with feta cheese sprinkled on top. Oh my god was this ever amazing. You could literally spoon the stuff and stick it in your mouth because it was that good. 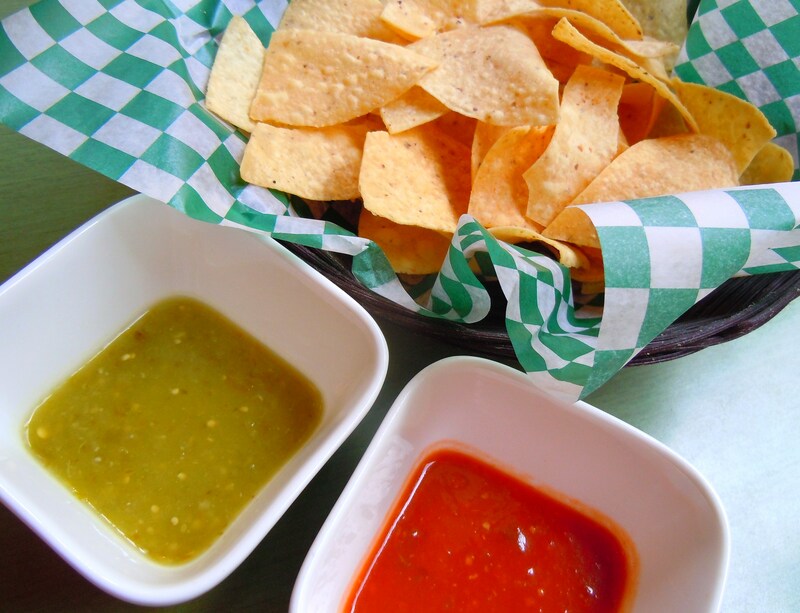 They give you a basket of corn chips with lots of dipping sauces and prices for lunch will run around $8 to $13 if you order a meal like mine ($10 for the pescadillas and $3 for the side of black beans and feta). If you order the laaaarge platters that include sides of black beans and rice with fajitas, enchiladas, burritos, etc., it’ll come up to around $13-$17. 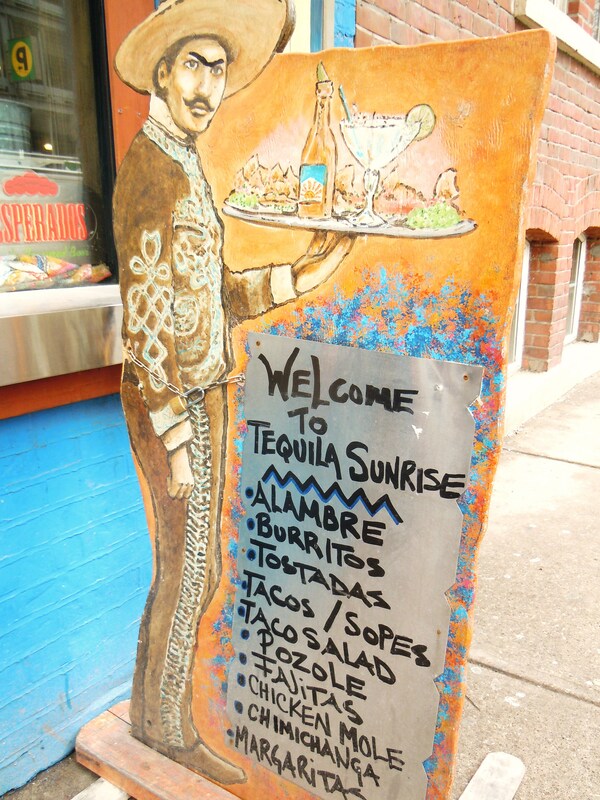 Prices are on par with Tequila Sunrise and what I like about the menu is how you can mix and match with the lunch plates (antojitos) and sides. 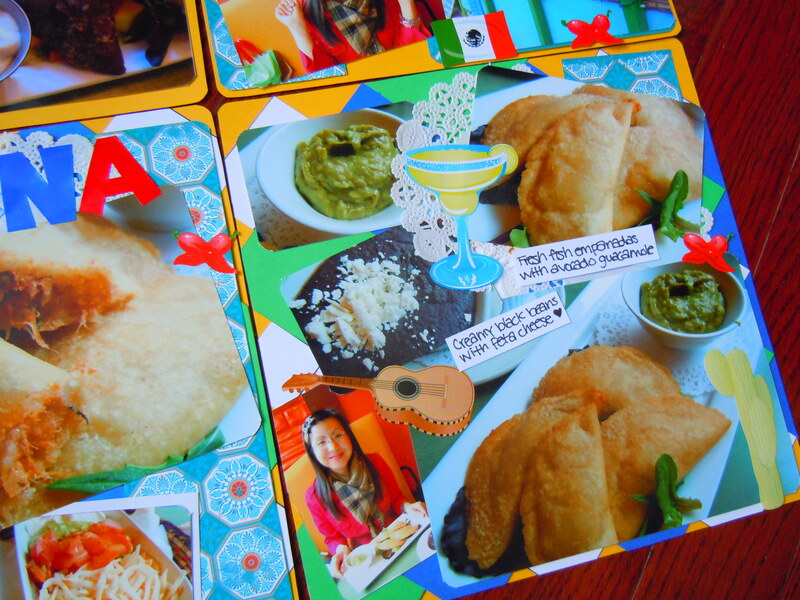 I’m waiting for the day I get to try some more of their food (like their potato and chirizo stuffed empanadas!). 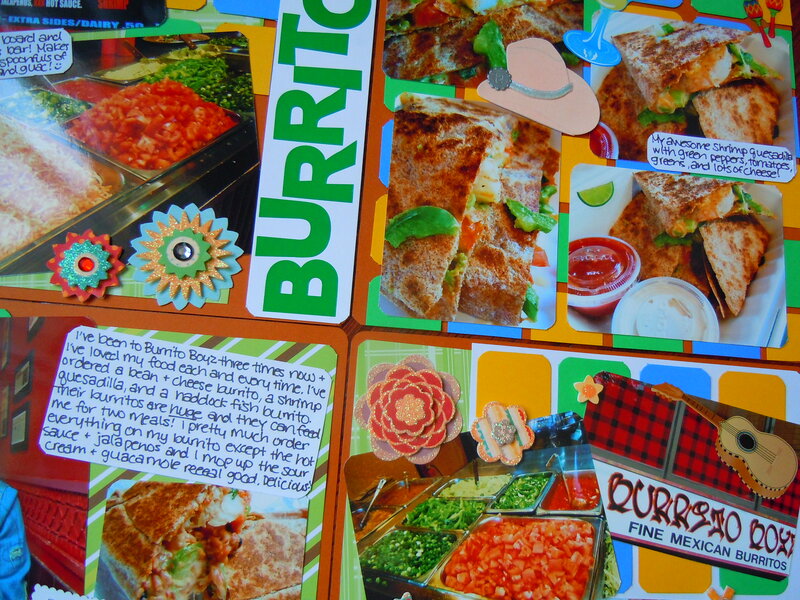 Meanwhile, I’ll peruse their online menu, admire their beautiful and adorable decor (they have painted cactus outside their storefront, ha), and let my tummy grumble over the thought of guacamole, sour cream, and corn pockets. 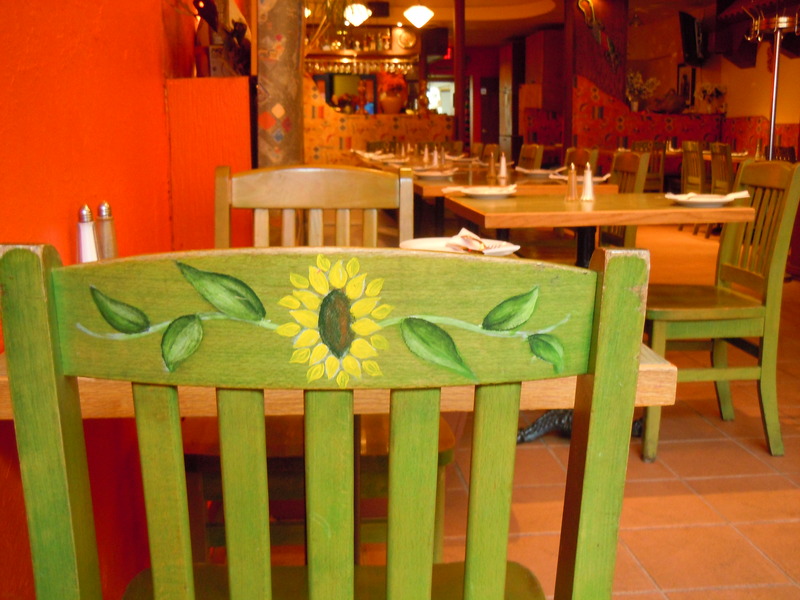 La Mexicana is located at 838 Yonge St. in between Yorkville Ave. and Cumberland St., north of Bloor Street. They are open 7 days a week at 11am. They are open until 10pm from Sunday-Thursday and until 11pm on Fridays and Saturdays. For more info, visit their website here.